On the occasion of the Convention on the Rights of Persons with Disabilities on 12-14 June 2018, IFLA wished to underline the positive progress that is taking place within the European Union towards transposition of Marrakesh Directive. 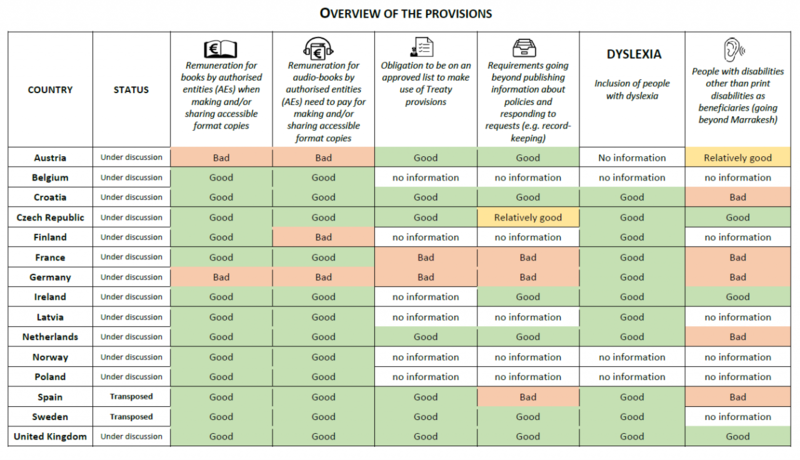 The document shows where things stood on 14 June in the internal process of transposition of European law, looking at key aspects such as remuneration for books and audiobooks, additional obligations, record-keeping requirements, inclusion of people with dyslexia, and extension of the system to people with disabilities other than print. You can read the full report in a word document (also in large print) and in a pdf.